AMMONNEWS - Yemeni government and rebel representatives met in Jordan on Thursday for a second day to thrash out the details of a major prisoner exchange, a UN source said. The swap, which could involve up to 15,000 detainees from both sides, was agreed in principle as a confidence-building measure ahead of peace talks in Sweden last month. But the details were left to afterwards as UN mediators focused on brokering breakthrough truce deals for the aid lifeline port of Hodeida and the battleground third city of Taez. The talks in the Jordanian capital Amman come as international donors meet in Berlin to set up a fund to support the fledgling peace process in Yemen. 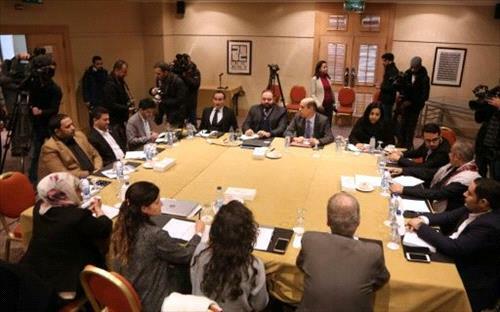 Representatives of the United Nations, which brokered the swap agreement, and the International Committee of the Red Cross, which will supervise its implementation, are taking part in the Amman talks. During a first day of talks on Wednesday, the warring parties met separately with the mediators and submitted lists of prisoners they want to see released. On Thursday, they were expected to meet face-to-face to hammer out the details of its implementation. The new meetings come after the UN Security Council on Wednesday unanimously approved the deployment of up to 75 monitors to oversee the truce in Hodeida, which has largely held despite delays in the agreed withdrawal of combatants. In Berlin, German Foreign Minister Heiko Maas pledged 4.5 millions euros as the opening contribution to the new peace process support fund. "In Yemen, a humanitarian catastrophe threatens to unfurl if we do not manage to bring this conflict to a definitive end," Maas said. "The important thing right now is to seize this small but real opportunity and work to ensure that international support for the peace process is as constructive and resilient as possible." The truce in the largely rebel-held Red Sea port city was the centrepiece of a series of breakthrough agreements brokered by the United Nations in Sweden last month in what is widely seen as the best chance yet of ending the devastating four-year civil war. But in a sign that much work still needs to be done before formal peace negotiations can begin, UN envoy Martin Griffiths said last week that he had postponed until February a planned second round of talks between the two sides. In an interview with Deutsche Welle radio on Wednesday, Griffiths said he was guardedly optimistic. He said he had been pleasantly surprised that the truce had held in Hodeida so far despite the "currently very weak" UN monitoring. He said he was "keeping his fingers crossed" that would continue while the new observer mission is put in place. The Yemen conflict has killed some 10,000 people since a Saudi-led military coalition intervened in support of the beleaguered government in March 2015, according to the World Health Organization. The war has pushed 14 million Yemenis to the brink of famine in what the United Nations describes as the world's worst humanitarian crisis.